In this apple inspired sangria, we combine apple cider, apple liquor and fresh apples to produce a light and slightly dry cocktail. RecipeSavants.com In this apple inspired sangria, we combine apple cider, apple liquor and fresh apples to produce a light and slightly dry cocktail. 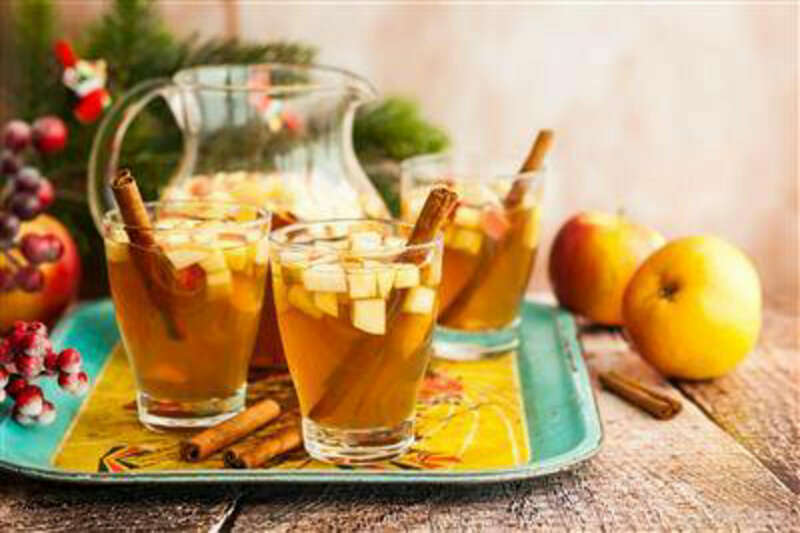 Smart Recipes, American Recipes, Vegetables Recipes, Recipes Vegetables American Apple Cider Sangria PT10M Serves 2 Ingredients: 1 Bottle Dry White Wine 2 Cups Apple Cider 2 Cups Club Soda 3 Ounces Apple Liquor 3 Ounces Cinnamon Liquor 2 Honey Crisp Apples 2 Granny Smith Apples 1 Orange 4 Cinnamon Sticks 1 Tablespoon Cloves In a large pitcher, mix together all ingredients and chill for about 3 hours. If you enjoyed this easy cocktail recipe, you'll love these fresh ideas! This delightful bourbon punch is easy to mix by the pitcher. It is a refreshing blend of fruity rose’, black tea, stout bourbon, and a kiss of lemon juice. When you add the fresh blueberries to the gorgeous red punch, it adds an elegant touch of blue. Serve in Old-Fashioned glasses with orange slices. When you combine bourbon, lemon juice, and a simple syrup you get pure nirvana. 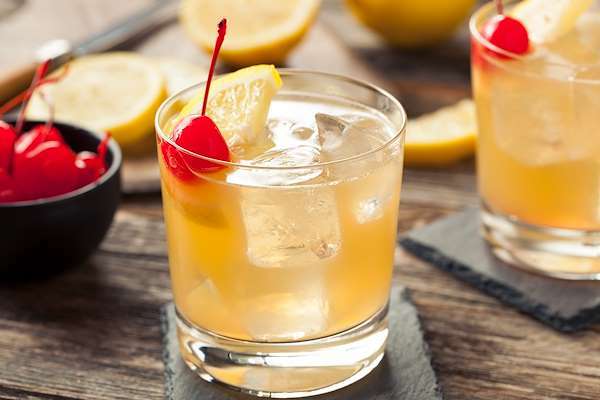 A whiskey sour is one of the best drinks to serve at your next cocktail party. Serve them with some crispy fish sticks made with panko breadcrumbs for a fantastic pairing. 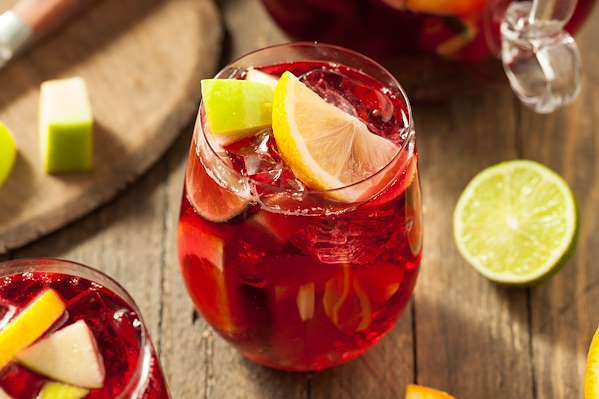 In this fruity zesty sangria we’ve skipped the added sugar and used fruity wine and citric fruits to create a refreshing and Vitamin-rich cocktail. Discover the deliciously inviting world of beer forward cocktails with this refreshing recipe. It is a fusion between a classic Italian cocktail and the earthy flavors of a bitter American IPA. 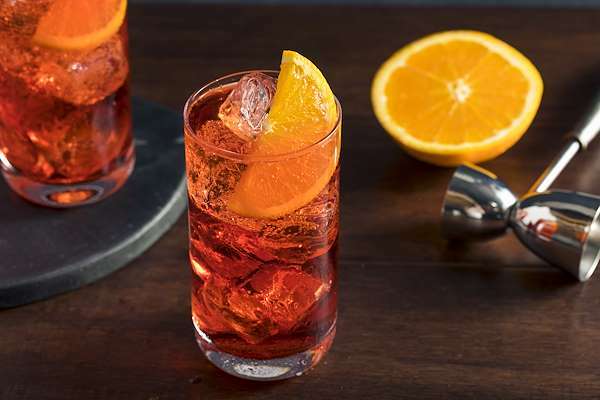 Serve this specialty drink with a hearty pizza or with finger foods. This is a perfect cocktail for the big game.